Miss Berry writes to Mrs. Cresson about the portrait bust and makes arrangements for the sittings. 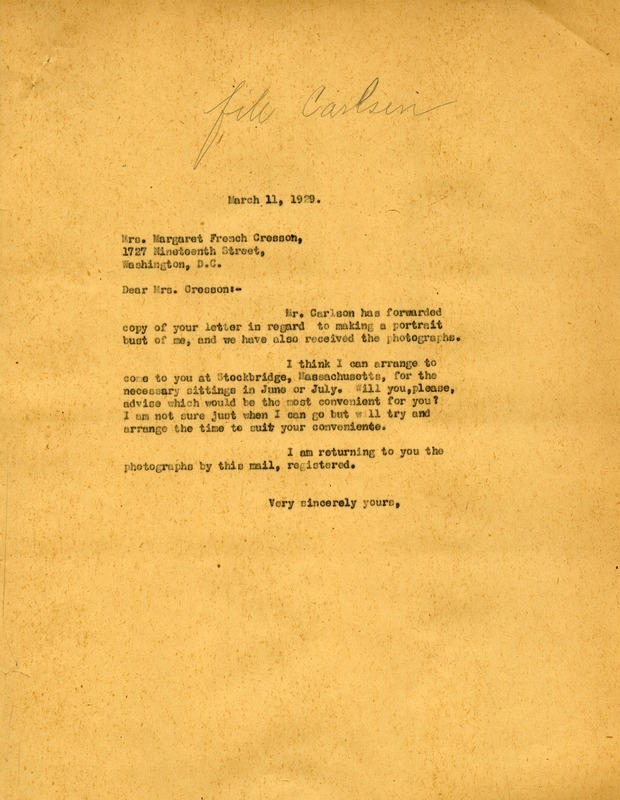 Miss Martha Berry, “Letter to Margaret French Cresson from Martha Berry.” Martha Berry Digital Archive. Eds. Schlitz, Stephanie A., Rachel Renaud, Chelsea Risley, et al. Mount Berry: Berry College, 2012. accessed April 21, 2019, https://mbda.berry.edu/items/show/9705.